Few things are worse than having someone break into your home and make off with your personal items. This leaves people feeling vulnerable and unable to trust their neighbors, communities, and home security plans. 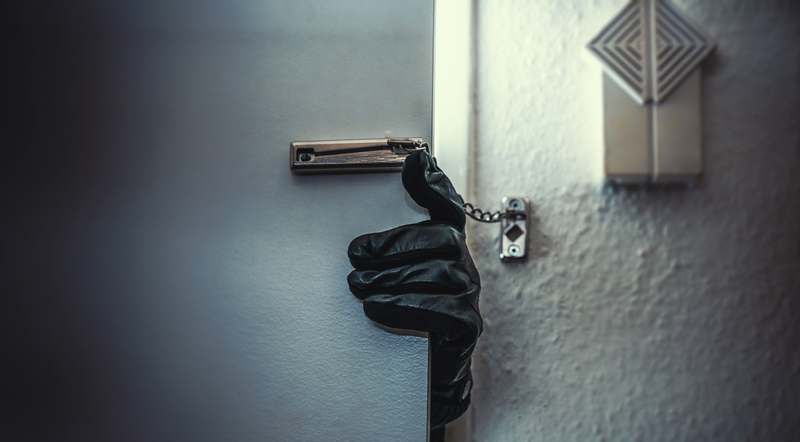 It is important to know exactly what to do if you are burgled. Taking the right steps after these events can help you avoid experiencing them again. Moreover, in some instances, the actions that you take can also play a significant role in helping you reclaim your lost property. To start, you want to file a police report. More than making sure that the responsible parties are apprehended and held accountable, these efforts ensure that you have a clean record of what has happened that you can share with your home insurance or renter’s insurance company. Having a police report on file may be essential for submitting a claim and having your insurer honor this claim. When submitting your report, you want to make sure to share any evidence of the event that you happen to have on hand. For instance, you might have camera systems in place for security purposes. Go ahead and share all of the available footage with the officer that pertains to the areas of your home and the time in question. This can be quite helpful in positively identifying the suspect and it may even be possible to use some or all of this footage as court evidence. Next, after officers have documented the damage, go ahead and start the process of cleaning your home up. Have broken windows or locks replaced and make sure that your security plan is intact. It is not prudent to replace damaged door locks and windows before local law enforcement agencies have had the chance to investigate them. These are the areas in which they’ll have the best chance at recovering evidence like fingerprints or footprints. Take stock of your security plan to determine why it has failed. Keep in mind that security measures that work for certain buildings and areas may not be exactly right for yours. If your neighborhood happens to be a high-crime area, window bars and other physical barriers could be essential. This is especially true if you have been targeted via a first floor window. Having an additional barricade in place can make you feel much safer. Make sure to connect with your home insurance company right away. They will need to document this event for themselves by analyzing your personal statement and the actual report that the police have supplied. If your losses have been extreme, it could be necessary for a claims adjuster to make an in-person assessment of your home. Some policyholders find that they have a hard time getting their insurance companies to honor their claims. This refusal can make an already uncomfortable situation seem far worse. If this is something that you are currently contending with, consider contacting an attorney. An attorney can assist you with the claims process by making sure that you have taken all of the necessary steps for honoring your end of your policy. Sometimes, having the legal weight of good representation is enough to make insurance companies take action. With this help, you can be sure to recover your damages and can start putting your household and your life aright.